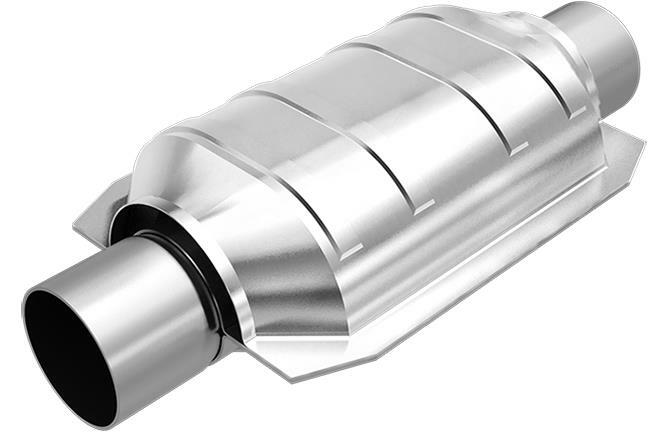 MagnaFlow specializes in superior catalytic converter and exhaust technology and has spent the past 30+ years earning its reputation as a global market leader. American engineered and manufactured, MagnaFlow Catalytic Converters combine efficient industrial design to produce a product that exceeds, rather than meets, the highest standards of product performance and efficiency in the industry. MagnaFlow uses both Ceramic and Metallic substrates with different combinations of cell density and wall thickness to meet vehicle specific requirements. MagnaFlow Universal Catalytic Converters form the basic building blocks for a comprehensive line of direct-fit applications.